Many organisations may say they understand the concepts of Corporate Social Responsibility (CSR) and Sustainability, but can they demonstrate these concept’s integration into the way they work? EFQM Committed to Sustainability has been designed to provide a holistic 1 day assessment of an organisation’s sustainability strategy. The assessment explores 4 themes; People, Planet, Profit and Products. With the integration of the 10 principles of the UN Global Compact into the assessment framework, an organisation going through the EFQM Committed to Sustainability will not only gain feedback on the impact and effectiveness of its sustainable strategy but also earn the “EFQM Committed to Sustainability” recognition. Any organisation can be recognised through an assessment based on the EFQM Excellence Model. Recognition schemes are all about celebrating achievement and creating enthusiasm for progress. EFQM assessment is a great way to motivate your people and encourage systematic improvement. It provides a focus for learning and training. External assessments can serve as milestones during a long term programme and demonstrate achievement to your people, suppliers and customers. 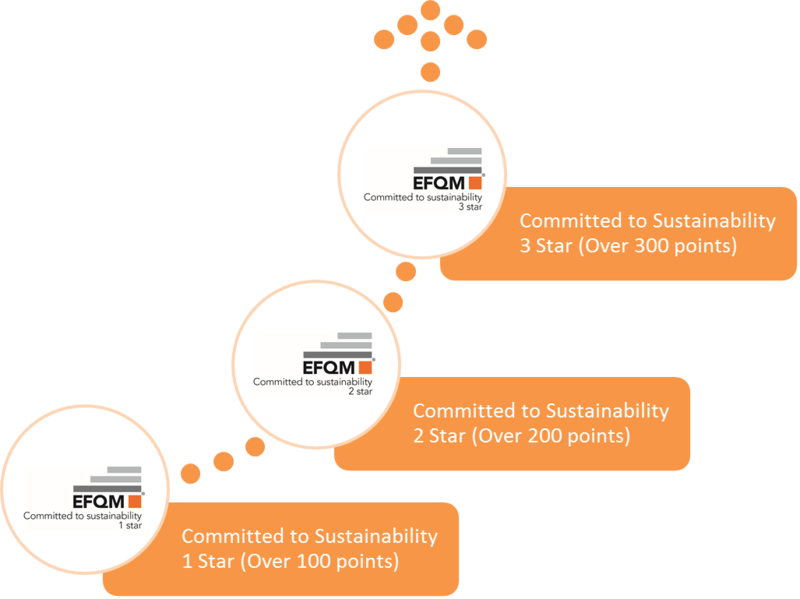 Depending on the score you achieve, you will receive the EFQM Committed to Sustainability 1 Star, 2 Star or 3 Star recognition. Certification will be through EFQM or representatives.